Laura Patt has over twenty years of experience in the areas of bankruptcy, restructuring, distressed M&A, accounting, and forensic accounting services having held many positions of trust involving the monitoring or fiscally responsible management of businesses and organizations primarily related to the healthcare industry. In her appointments as Patient Care Ombudsman, she provides comprehensive monitoring to ensure the debtors maintain quality patient care during the bankruptcy and reports to the Court. • Restora Healthcare Holdings, LLC, et.al, two Long Term Acute Care Hospitals in AZ (14-10367-PJW Region 3 – DE). Vernon Consulting was retained as the Medical Operations Advisor in these cases. • Leader of the Medical Operations Advisor Team retained by the PCO of 710 Long Ridge Road Operating Company II, LLC, et al. (13-13653-DHS), a group of five Connecticut nursing homes. Her work as part of the Financial Advisor’s Team for the Debtor, St. Mary’s Hospital Passaic ($156 million annual revenues), enabled the Debtor to successfully emerge from Chapter 11 bankruptcy intact. The emergence of a Not-For-Profit Hospital intact from Bankruptcy without benefit of a Section 363 sale (substantially all the Debtor’s assets) was the first ever to occur in NJ. Laura’s experience as a Bankruptcy Analyst for the U.S. Trustee’s office in Region 19 included the detailed review of debtor’s bankruptcy petitions and schedules, business records, periodic financial reports and any proposed reorganization plan for technical sufficiency and to determine financial viability, as well as providing expert testimony at trials. Laura also has prior experience with the IRS as a Revenue Officer, Offer In Compromise Specialist, and as a Special Agent. While Treasurer for the Phoenix Affiliate of the Susan G. Komen Breast Cancer Foundation ($4 million annual revenues), she was responsible for the implementation, direction, and oversight of all financial and accounting systems. She has comprehensive experience providing financial, forensic, and bankruptcy-related services to debtors, creditors, trustees, and other parties in bankruptcies, restructurings and liquidations. Laura is a Certified Public Accountant, Certified in Financial Forensics, and also a Certified Insolvency and Restructuring Advisor. She has a Bachelor degree in Finance and a Master of Public Administration degree. Laura obtained licensing as Nursing Home Administrator in Michigan. Maureen Canil has over twenty-five years of experience in clinical, administrative, compliance and monitoring of healthcare facilities, organizations, and corporations . She is a leader with proven success in achieving operational, organizational and compliance goals. Maureen is a seasoned business and clinical expert at interpreting healthcare trends, designing proactive care delivery systems and collaboratively working with leadership teams to implement new systems that positively impact quality care, personnel performance, reimbursement and reflect best practice trends. While working for a Healthcare Association, she conducted onsite quality assurance reviews for 85-long term care facilities (i.e. nursing homes, adult homes, and LTHHC programs) to assist in preparation for JCAHO accreditation and state/federal surveys. Coached and mentored facilities’ compliance teams assigned to the direct execution of quality process improvement tools, techniques and goals. While working at the NY State Health Department, she effectively assisted the nursing home surveillance Program Director to interpret and implement both state and federal regulations to surveyors, and providers. Maureen also cross-trained as a New York State Health Department administrator in multidisciplinary interpretation and implementation of state and federal surveillance rules and regulations. • Participated in assigning nursing home provider ratings, character and competency reviews, and resolving provider/surveyor disputes. • Performed supervision of the Health Department LTC surveyor teams in reviewing their onsite findings, deficiency reports, plans of corrections and all related survey processes. Maureen is a Registered Nurse licensed in New York and Connecticut. She has a Bachelor of Science Degree in Nursing, and a Master of Science Degree in Healthcare Administration. She is a trained Infection Preventionist and is credentialed in CPR. 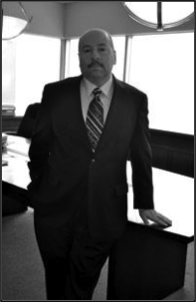 Vince Carolan has over twenty years of experience in clinical, administrative, and academic applications of mental healthcare. Vince has significant administrative experience working both in public and private industry. He has worked as an Administrator and Manager for the Arizona Supreme Court Juvenile Justice Services Division and Adult Probation Services Division. His extensive experience as a Clinician involves the delivery of mental health service, substance abuse counseling and clinical practice for adolescents and adults. Coordination of Drug Court and Criminal Justice Client Cases. Vince is a member of the Adjunct Faculty for a local University and teaches courses in Substance Abuse, Sociology, and Research Methods. Vince is a Licensed Pennsylvania Social Worker, Pennsylvania Certified Alcohol & Drug Counselor , Certified Grant Writer, and also a Certified Instructor in Substance Abuse and Criminal Conduct Cognitive Behavioral Programming. He has a Bachelor degree in Psychology and a Master of Social Work (MSW) degree. Bill Cusick is a seasoned healthcare executive who recently served as the Executive Vice President/Chief Financial Officer at St. Mary’s Hospital (SMH), a not-for-profit Hospital in Bankruptcy. Bill’s work for the SMH helped it to successfully emerge from Chapter 11 bankruptcy intact. The emergence of a Not-For-Profit Hospital intact from Bankruptcy without benefit of a Section 363 sale (substantially all the Debtor’s assets) was the first ever to occur in NJ. He is a strong leader with a hands-on management style, and proven track record in turnaround operations, bankruptcies, mergers, and reorganizations involving Hospitals. He is committed the administration of healthcare best practices, and has a collaborative style of leadership. Bill brings the expertise to seamlessly step in and provide effective interim executive level management to distressed and underperforming businesses by developing a realistic, executable, restructuring plan designed to achieve long-term financial viability. • Interim CFO for six Florida and Ohio hospitals in bankruptcy to facilitate and effectively liquidated operations ordered by US Bankruptcy Court. • As Executive Vice President/CFO of North Philadelphia Health successfully completed a merger of two financially distressed hospitals in bankruptcy. • Responsible for the Prison Health Care contract with the City of Philadelphia including the oversight of the inpatient unit in the Hospital and offsite clinic sites. Kevin has over seven years of Healthcare experience including working with Skilled Nursing Facilities and Assisted Living Facilities totaling 16 facilities and just under 2,000 beds. Additionally, Kevin has worked with a hospital, third party billing company, imaging centers, and an emerging medical device company. • Strategic planning, capital planning and P&L management supporting growth, expansion of services and increased shareholder value. • M&A advisory on both buy and sell sides, including post transaction integration. • Leadership development and coaching. • Operational efficiencies and implementation of operations, financial and quality metrics. • Compliance at all levels from patient intake through service delivery, billing, and financial reporting. • Ensuring patient care standards are met or exceeded. • Financial restructuring and increased cash flow. Meredith Verona has over ten years of experience providing forensic accounting and litigation support services, primarily specializing in business valuations, fraud investigations, and economic damage calculations. Meredith’s experience as a Valuation Analyst includes the detailed review of financial statements and general ledgers, understanding company & industry trends, normalizing the benefit stream, reviewing financial projections, and ultimately determining an applicable valuation method(s). She performs on-site visits to discuss the operations and financial situation of the Company. She is skilled at compiling and preparing financial documents and exhibits needed for litigation and preparation for expert testimony at trials. 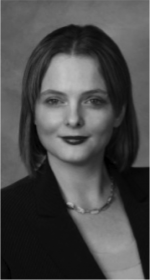 Meredith is a Certified Public Accountant, Certified Valuation Analyst, and is Certified in Financial Forensic. She is a member of the American Institute of Certified Public Accountants (AICPA),the NY State Society of Certified Public Accountants (NYSSCPA) and National Association of Certified Valuation Analysts (NACVA). She received her B.A. in Economics from Rutgers University and her M.B.A. with a concentration in Accounting from Monmouth University. Maintained bank account information and check registers for Court appointed Trustees for liquidating Trusts. Document organization, gathering, and indexing, including data room uploads and maintenance. Miguel is a Certified Public Accountant and has a Bachelor of Science Degree in Business Administration with a concentration in Accounting. He is fluent is Spanish and an expert at Excel.